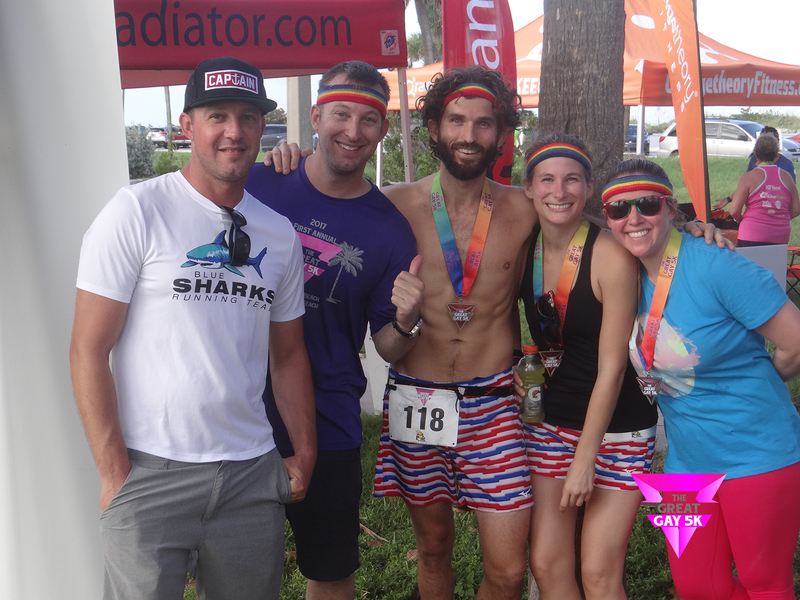 Are you ready for an amazing pride weekend in St. Pete Beach, FL? 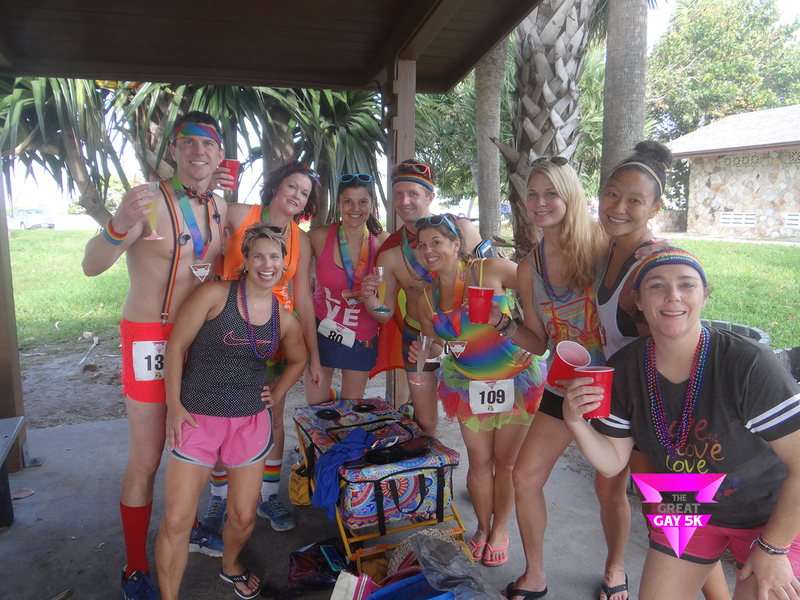 Let's celebrate the third annual Great Gay 5K! 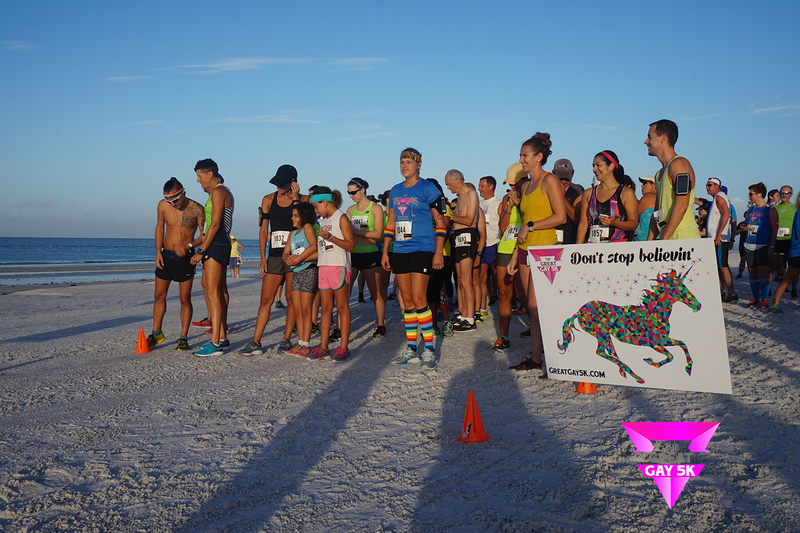 This fun run/walk is a celebration of the LGBT+ community, supporters, and athletes of all shapes and sizes. Simply put, if you love the playful and cheery community, show your support and enjoy the day with us! A portion of proceeds will go to a local non-profit charity. Registered participants will receive FREE race pictures, a dry-fit T-shirt, race bling, and goodie bag. Everyone will receive an amazing race medal! Rain or shine, we will see you there. This is a "fun" run and will not be professionally timed. 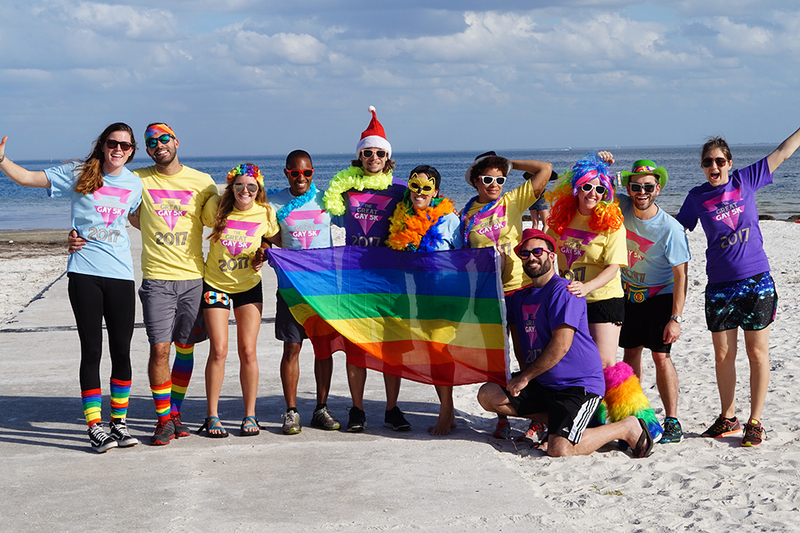 Join us Saturday, September 14, 2019 to celebrate the LGBT+ community at St. Pete Beach (Pass-A-Grille) in St. Petersburg, FL! This is a 5K event that the entire family can enjoy together and create lasting memories. Everyone is welcome! Make sure to follow us on Social Media! 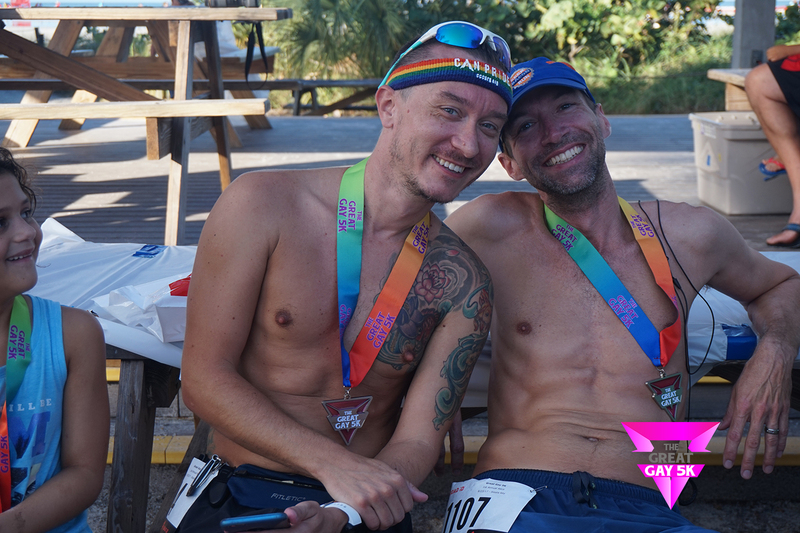 We're on Facebook and Instagram, and use #greatgay5k when posting pictures or sharing stories. Also, we'd really appreciate you sharing this event with your friends and family! 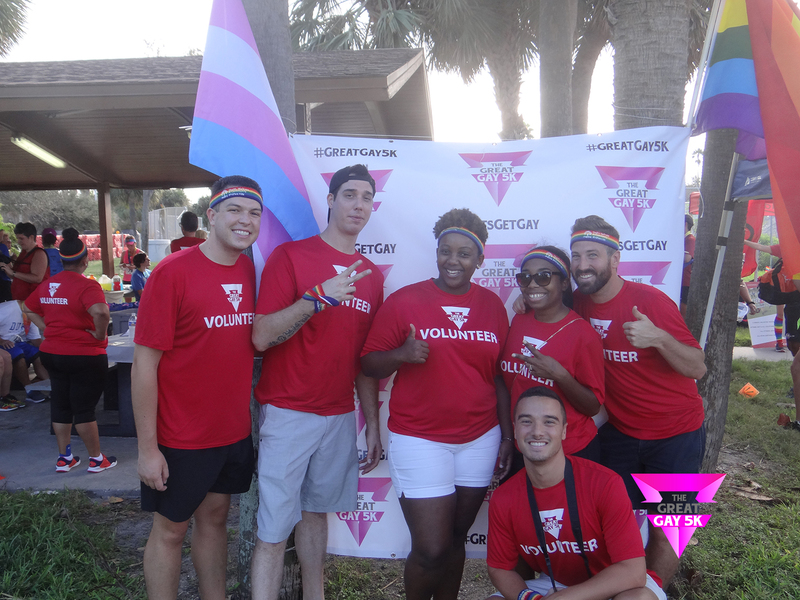 Use #greatgay5K and #letsgetgay to connect on social. 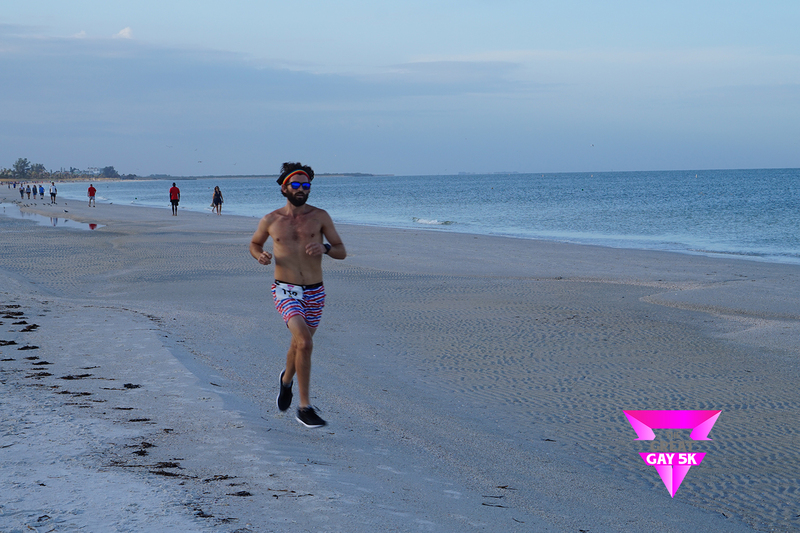 The Virtual 5K is for athletes around the United States who can't make the St. Pete Great Gay 5K. The participants will register and run/walk the 5K at the location of their choice. Participants will receive an official bib, dry-fit t-shirt, race medal, and goodie bag. Most importantly, they'll be able to participate in the fun where ever they are! 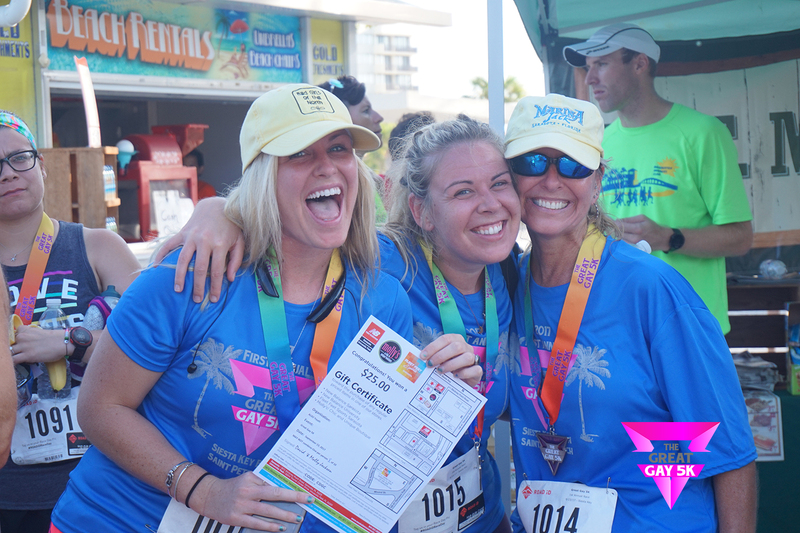 Great Gay 5K Race T-Shirts will be given to all registrants. 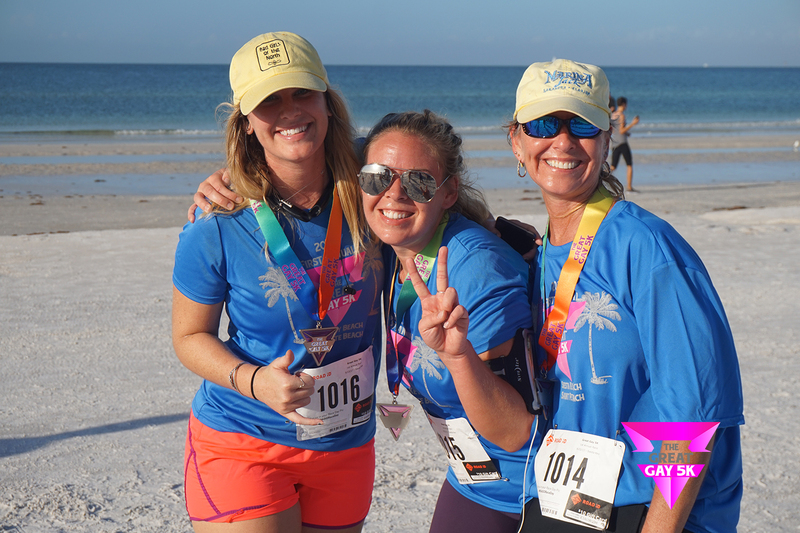 You will be able to pick up your race packet, goodie bag and T-Shirt at the registration table on Saturday, Sept. 14, 2019, starting at 7 am at St. Pete Beach (Pass-A-Grille). 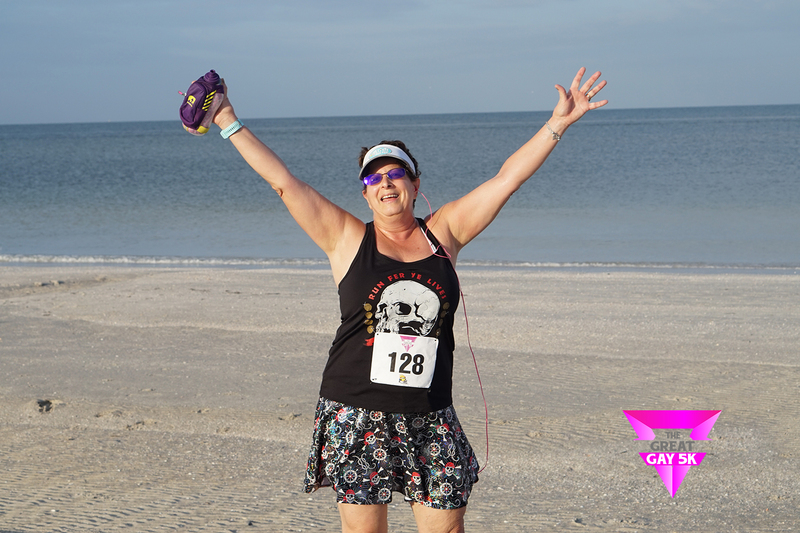 We'll also have packet pick-up at St. Pete Running Company on Friday, Sept. 13 from 4-7p. Full details will be emailed prior to the event. One of the coolest race medals around! Contact RJ at Robert.huebert@gmail.com or Claire at Claire.selius@gmail.com. After race: prizes, music, snacks, drinks, and other goodies for the whole family!